The Portuguese consume more fish per person than any other European nation. Curious to learn more, Josh Ferry Woodard takes us on a foodie's tour of Portugal, sampling the seafood and taking in the sights of the Atlantic coast along the way. Portugal’s 500-mile-long Atlantic coast is both rugged and magnificent. Blue waves, carrying myriad species of fish, travel thousands of miles across the ocean from the Gulf of Mexico to meet the Iberian nation’s tall cliffs, sandy beaches and coastal stacks. Though there are many meat and vegetable dishes, Portugal’s seafaring and colonial past played a massive role in the country’s cuisine. Fresh seafood is ubiquitous. All over the country you can find charcoal grills, copper cataplan pots and rustic stoves filled with fresh catch. Ironically, the national dish—bacalhau (salt cod)—is the only fish that the Portuguese don’t serve fresh. The Portuguese love affair with bacalhau started in the 16th century, when Portuguese fishing vessels reached Newfoundland in Canada. The fishermen salted and air-dried their catch in order to preserve it for the long journey home across the Atlantic. These days there are said to be at least 365 different bacalhau recipes and families regularly enjoy different varieties of the dish. My first experience of bacalhau came in a small local eatery called Casa da India, in the hip Bairro Alto district of Lisbon. The restaurant was filled with Portuguese old timers, picking their way through bowls of snails. fish that the Portuguese don’t serve fresh"
The extremely salty fish arrived swimming in a pool of garlicky oil, accompanied by a simple green salad and some waxy roasted new potatoes. This was my first taste of Portugal and I must admit: I struggled to finish the bacalhau. The final few bites tasted as if the chef had unloaded a dozen twists of the salt mill directly into my mouth. I found another of Portugal’s staple foods far more agreeable. The western Lisbon district of Belém is home to an exotic botanical garden, an historical tower and some world-class museums. It is also the birthplace of the iconic pastel de nata. During the Liberal Revolution of 1820 religious activity was banished from Portugal, leading to the closure of many convents and monasteries. 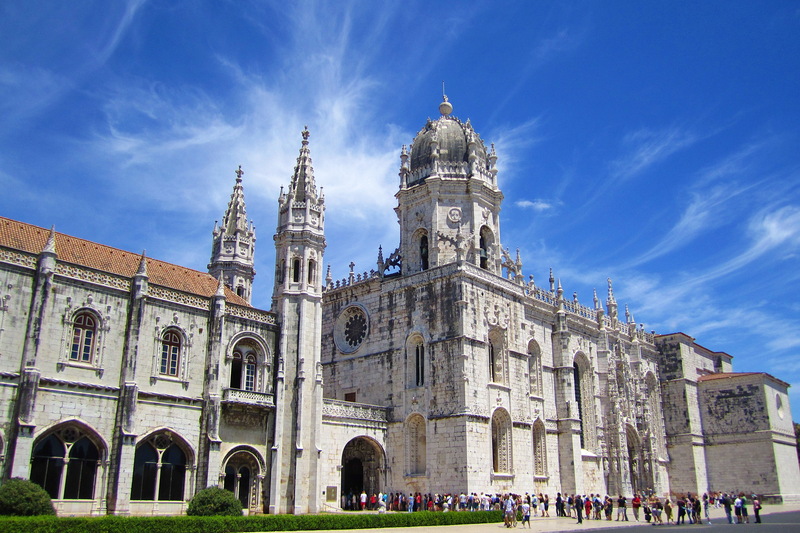 But the separation of church and state was not enough to keep the monks of the colossal Jerónimos Monastery down. For 14 years the monks made a living selling their flaky custard tarts, complete with a sprinkling of Goan cinnamon. But in 1834, the monastery finally closed its doors and the recipe was sold to a sugar refinery, which then opened the Fábrica de Pastéis in 1837. The café remains to this day and is a lovely place to enjoy a warm pastel de nata and a small bica coffee. However, for my money, the rich and creamy pastéis served in Bairro Alto’s sleek Mantegaria bakery are even more delicious than the tarts found in Belém. Lisbon, with its iconic trams, labyrinth streets and cute elevador funiculars, is one of Europe’s hottest tourist destinations. Although most travellers are drawn in by the capital’s old world charm and stunning hillside views, Lisbon is a progressive city at the forefront of modern trends in fashion, nightlife and food. The iconic Mercado da Ribeira is a great example of Lisbon’s modern vibrancy. Back in the 13th century this wide glassy hangar was one of Europe’s most famous fishing markets. In 2014 the iron structure was transformed by Time Out magazine into a foodie haven, serving everything from gastro seafood to hamburgers. On my visit I enjoyed a plate of seared octopus on a bed of boiled, fried and roasted potato. A twist on the classic polvo lagareiro imagined by Chef Marlene Vieira, one of Portugal’s top female chefs. The mixture of textures tickled my taste buds as hundreds of conversations blurred into one beneath the high-ceilinged hangar. Illustrious football manager Jose Mourinho is not everybody’s cup of tea but he’s certainly popular in his hometown of Setúbal. One of the port city’s main avenues has even been renamed in his honour. Less than an hour out of Lisbon, Setúbal draws in domestic and foreign tourists due to its proximity to the luscious Parque Natural da Arrábida. potatoes and a light tomato salad?" After spending an afternoon and an evening roadtripping along the park’s winding coastal road: dense green vegetation and chiselled white cliffs on one side, yellow sands and turquoise water on the other, I searched the town’s streets for Mourinho’s alleged restaurant of choice. As it turned Novo 10 is closed on Wednesdays, so I tried Copa D’ouro, one of many seafood restaurants on the buzzing Avenida Luísa Todi. My grouper steak was grilled to perfection and the waiting staff were helpful and cheerful. Is there anything in life more satisfying than a plate of freshly caught fish, seasoned potatoes and a light tomato salad? My road trip continued down the Alentejo coast, past pale green rice fields, woody cork plantations, vast stretches of desolate sand dunes and quaint little fishing villages. As previously stated, fishing is hugely important to the Portuguese and, accounting for around 40% of Portugal’s annual 140,000-ton catch, sardines play a significant part in the nation’s voracious appetite for seafood. A far cry from the pitiful skinned creatures you find crammed into cans in British supermarkets, the sardines in Portugal are fat, fresh and succulent. 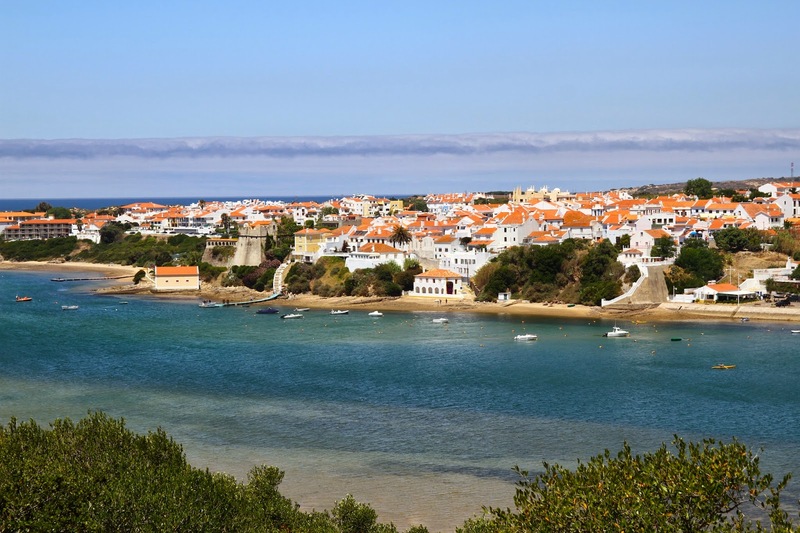 The alluring smoky, salty aroma of sardinhas assadas (grilled sardines) can be found right the way down the Portuguese coast—especially so on public holidays. Having tried some in the historic Alfama district of Lisbon, where residents drink beer, hang flags and grill sardines from their front gardens, I was pleased to get another chance to sample the emblematic fish in the sleepy seaside village of Porto Covo. As in Alfama, each blackened skin housed a moreish moist fillet. The only difference was that I was afforded the opportunity to stuff ten (I only managed eight) fishes into my gut on the coast, compared to the four on my plate in the capital. It’s disingenuous to say that by my final night in Portugal I had had enough of seafood. But after devouring lunch-upon-lunch, dinner-upon-dinner of grilled fish, seafood casserole and prawn rice I was prepared to try something slightly different. In Alentejo’s most accomplished resort town of Vila Nova de Milfontes, where the estuary meets the ocean and mosaicked streets are filled with cafés, restaurants and boutiques selling handmade garments, I ordered a portion of feijoada. "A sense of celebration pervaded the scene." Despite my waiter’s insistence that the stew originated in Portugal, many historians believe that feijoada was invented by African slaves who had been transported to Brazil by Portuguese colonists. Named after feijão, the Portuguese word for bean, this hearty dish is traditionally cooked with black beans and fresh pork. On the coast, however, they can’t help but invite fish to the party and this particular feijoada contained beans, pork and cuttlefish. Sitting on an outdoor terrace overlooking the estuary with a carafe of full-bodied Alentejan red, France scored a last-minute winner in the first match of Euro 2016; a band started playing on a stage beside the beach to celebrate Portugal Day and a wholesome plate of feijoada arrived. A sense of celebration pervaded the scene. As is common in Brazil, I took my time with the bean stew and savoured my final evening in Portugal. By the time my waiter had taken the plate away the veranda was full of energised Portuguese, who chatted, danced and sipped on caipirinhas well into the early hours of the morning.